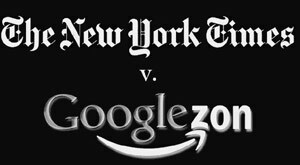 Google to buy New York Times? In the last five years, the New York Times has declined in value by an astonishing 70 percent. There is no indication that things will get better any time soon. Indeed, as the specter of recession looms, there is every reason to believe that things will get worse. At some point here in the near future, the market capitalization of the New York Times will fall below $2 billion. At that point, a psychological floor will have collapsed and the company will be in play. The company that has the most to gain from buying the New York Times is Google. If it proffered a Murdoch-like, no-auction bid of $4 billion, wouldn’t the Sulzberger family have to accept it? Every single class B shareholder would accept the offer. It’s their only exit. It is also likely that Times employees and retirees would enthusiastically support the deal; it’s their only exit as well. So it would all come down to whether the Sulzberger family (smaller in number and not as far-flung as the fractious Bancroft clan that owned Dow Jones) would accept the deal. The choice for the family would be basically this: double your money or double down on “young Arthur,” as the NYT’s Chairman and CEO is sometimes called. In the back of their minds, the prospect of doubling down on “young Arthur” could only mean that the company’s stock will continue its relentless decline. The prospect of doubling up with Google offers realized value, a global platform and thus a much clearer path to future growth. Everyone would be a lot richer than they are now. Assuming a cash/stock transaction, some might be a whole lot richer in the future. I am told by smart people who know the business that the Sulzbergers will never sell; that their identity is the New York Times. It’s also said that they take their role as stewards of journalistic “excellence” and “integrity” seriously. They’re plenty rich as it is, if not as rich as they once were, so it’s not about the money. It’s about the Statue of Liberty and justice and righteousness, all of which they feel The New York Times embodies. And I believe that they believe all that. But as everyone knows, and the Sulzbergers know better than most, the game has changed. Classified advertising has been gutted by Craig’s List (and a thousand other web-sites). Department stores have consolidated and newspaper advertising budgets have consequently declined. The way people access information has fundamentally changed, thanks to the Internet. On and on it goes. Meet Rin. 21. Best-selling author. She wrote If You over a six-month stretch thumbing out passages on her cellphone and uploading them to a popular site for would-be authors. After readers ranked her No. 1, the tragic love story between two childhood friends was turned into a 142-page hardcover book which sold 400,000 copies and became the No. 5 best-selling novel of 2007. “My mother didn’t even know that I was writing a novel,” said Rin. According to this NYT article, the cellphone novel in Japan was born in 2000 after a home-page-making site, Maho no i-rando, realized that many users were writing novels on their blogs. It tinkered with its software to allow users to upload works in progress and readers to comment, creating the serialized cellphone novel. But the number of users uploading novels began booming only two to three years ago, and the number of novels listed on the site reached one million last month, according to Maho no i-rando. 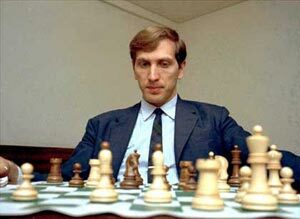 REYKJAVIK (AFP) — Chess legend Bobby Fischer, whose tortured genius earned him both worldwide acclaim and disdain, has died at the age of 64 at his home in Iceland. “I can confirm that he died yesterday in his home due to an illness,” close friend Gardar Sverrisson told AFP. Fischer was reportedly hospitalised for a period last year. Einar Einarsson, the chairman of a Fischer support group in Iceland, said the cause of death was kidney failure. “He was not a man who wanted to seek medical attention. He didn’t believe in Western medicine,” Einarsson told AFP. US-born Fischer, who made world headlines by defeating Soviet world champion Boris Spassky in a celebrated Cold War chess showdown in Reykjavik in 1972, took Icelandic citizenship in 2005 to avoid being deported to the United States. He was wanted for breaking international sanctions by playing a chess match in Yugoslavia in 1992. “Fischer could be called a pioneer of professional chess, some would say even the founder of professional chess,” former world champion Garry Kasparov told journalists in Moscow Friday, lamenting that he had never met his childhood hero. Considered by some as the greatest chess player of all time, Fischer’s particular genius was a troubled one that saw his life run steadily downhill since his moment of glory at age 29. He was said to have an IQ higher than Albert Einstein’s and once thought his gift would win him undying fortune. He would make extravagant demands over matches in a way more commonly seen in boxing. But while the theatrics made him a celebrity — and are credited with helping him unnerve his opponents — he also succeeded in alienating himself from all but a small band of friends and chess enthusiasts. Despite having a Jewish mother, Fischer was an outspoken anti-Semite, using broadcasts at far-flung radio stations to accuse Jews of everything from his legal woes to an alleged conspiracy to kill off elephants. His anti-US rhetoric became equally inflammatory over the years. “I think it’s … a great loss for chess that Fischer never tried to re-enter the world of chess and that the last 30 years of his life were marked by very odd, somehow politically unacceptable statements rather than a chess contribution,” Kasparov said. In the 1972 “match of the century” in Iceland, Fischer, throwing regular tantrums over the position of cameras and the audience, relied on his own wit to end 24 years of Soviet chess supremacy by dethroning Spassky, who had by his side an army of Russian master strategists. Fischer, whose chess education had consisted of locking himself in a room for days on end facing off against himself, refused to play again after his triumph and was stripped of his title in 1975. He returned to chess in 1992 with a rematch against Spassky in Yugoslavia, then in the throes of the Balkan wars. At a press conference he spat on a US government notice warning him he was breaking sanctions and proceeded to defeat Spassky once again, winning more than three million dollars on which he boasted he would never pay tax. He was back in the media spotlight on September 11, 2001 when he rang up a Filipino radio station to hail the “wonderful news” of the terrorist attacks on the United States and launch a profanity-laden anti-Jewish tirade. On July 13, 2004, Fischer was taken into custody at Tokyo’s Narita airport for travelling on a passport which Washington said had been revoked. With Japan deliberating for months on whether to send him to the United States, Iceland came to his rescue, granting him citizenship in tribute to his role in making the small island — and the game of chess — famous in 1972. “He was quite happy to be in Iceland, but perhaps he felt a little bit trapped … since he could not travel. The US government was always after him,” Einarsson said Friday. Fischer’s girlfriend, the head of the Japan Chess Association Miyoko Watai, visited him frequently in Iceland, Einarsson said. Spassky continued to support Fischer despite the controversy. In an open letter he wrote he was ready to share a jail cell with him if Fischer was extradited to the United States. “Just let us play chess,” said the twice-defeated Spassky.